When it comes to summer kids party there’s no better way than bringing a smile to everyone’s face. The fun activities provide great opportunities both for the adults and the kids. This means every member of the family can spend quality time along with the kids while partying. 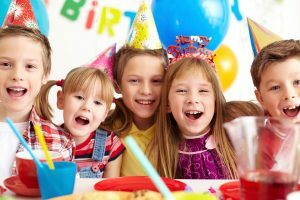 Establishing perfection in children’s parties in Melbourne can be done easily through these helpful tips provided by experts. A water fight is a great activity to include fun in a game. Make sure to include lots of colourful balloons to create safe zones, where some children can hide. This makes the game interesting and allows a somewhat overwrought child some time out, without actually quitting the game. When it comes to partying in summer be sure to hire a professional party entertainer who can provide different designs and patterns of balloons to establish creativity in the party venue. These balloons can also be utilized in the water games, as mentioned earlier. Plan for a series of games to increase the fun of summer when it comes to children’s parties. These can either be played as individuals or with a team. However, if you are worried about the children getting hurt or dehydrated, then the best option is to hire a professional party entertainer in Melbourne. They are skilled in keeping the children busy with different storytelling activities and magic shows. This means you can relax and enjoy the games without concern for the children’s safety and security. Fancy dress competition is also one of the best options when it comes to children’s parties. Here, you can also include the children in fun activities, and they look really adorable and endearing in different styles of dress. Make sure to lay a red carpet decorated with various creative balloons to increase the aesthetic appeal of the venue. It’s great to include a gateway of balloons through which the children and adults will come to participate in the competition. 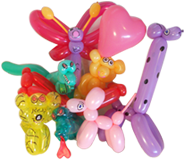 Colorful and decorative balloons are available with most party entertainers in Melbourne. They are the best professionals who can provide a different perspective of the party venue with amazing styles and decoration with balloons. Whatever be the occasion in the summer season, consult your needs with a professional party entertainer in Melbourne to fill the venue with complete bliss. For more interesting ideas on children’s parties stay tuned to our blog page!